If you're like me (and everybody else probably), you probably have a few nights of reckless drinking that you wish your could take back, or at least turn down a notch. Just by drinking a little slower or only consuming one kind of alcohol might have made it a more memorable night (in a good way). But let's face it, sometimes it's just too hard to control yourself. And that's exactly what was going through the mind of MIT student Dhairya after he blacked one night. But for him, there is a solution, and he called them Intelligent Cubes. Using his impressive brain, a few ATtiny micro-controllers, LED lights, an accelerometer, IR transceivers, and batteries, he created a device that would monitor his drinking habits and warn him with a color-coded scheme. Wow. And I thought jailbreaking my iPhone was impressive. He uses an edible jelly and some molds to encase the devices so that he can put them inside of his cup. The "ice cubes" track the amount of time passing, along with the number of sips taken, to evaluate how drunk you're getting. The device goes from green to yellow and then red. It is all rather ingenious. Now, for people like me that would rather not try and compete with the MIT brass, here's a way to make drinking more enjoyable than it already is, because, let's face it—it's really hard to control yourself anyway. 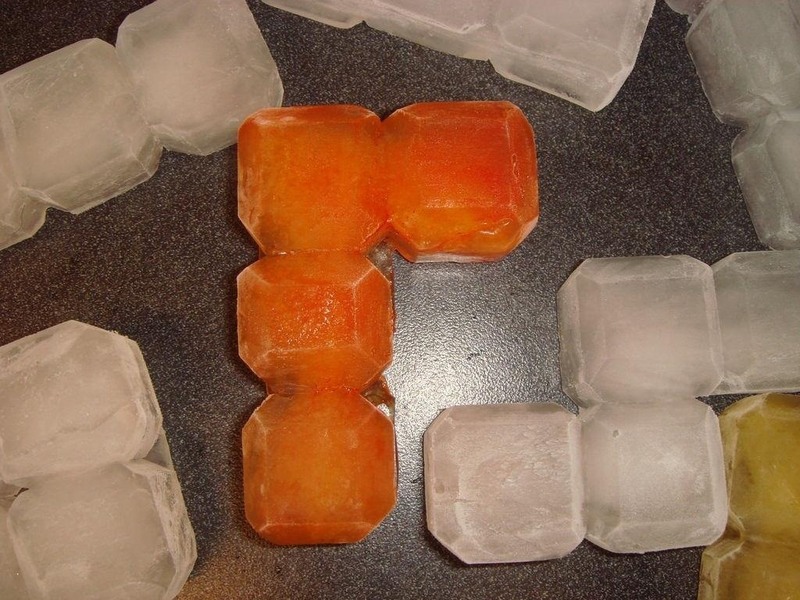 These Tetris ice cubes are just that—ice cubes... 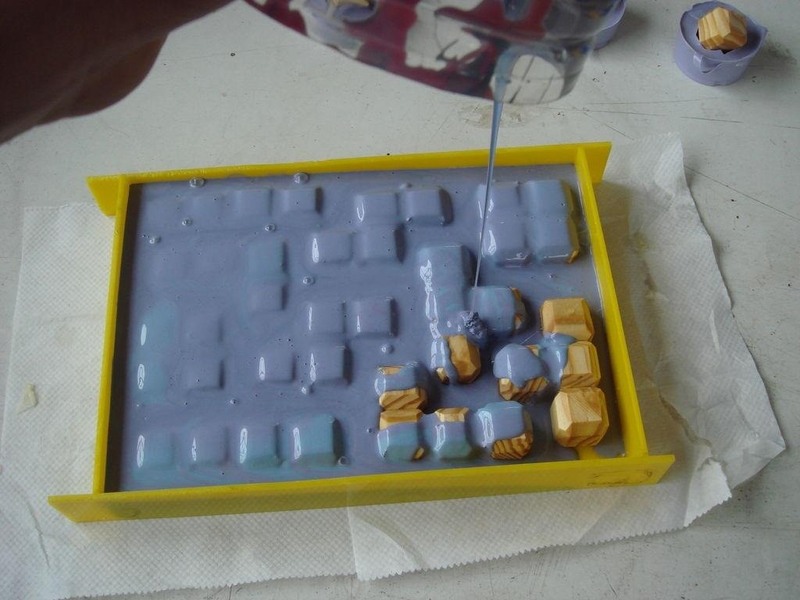 But you'll need some woodworking skills to pull them off, as you'll have to make your own Tetris-shaped mold. Here's how. 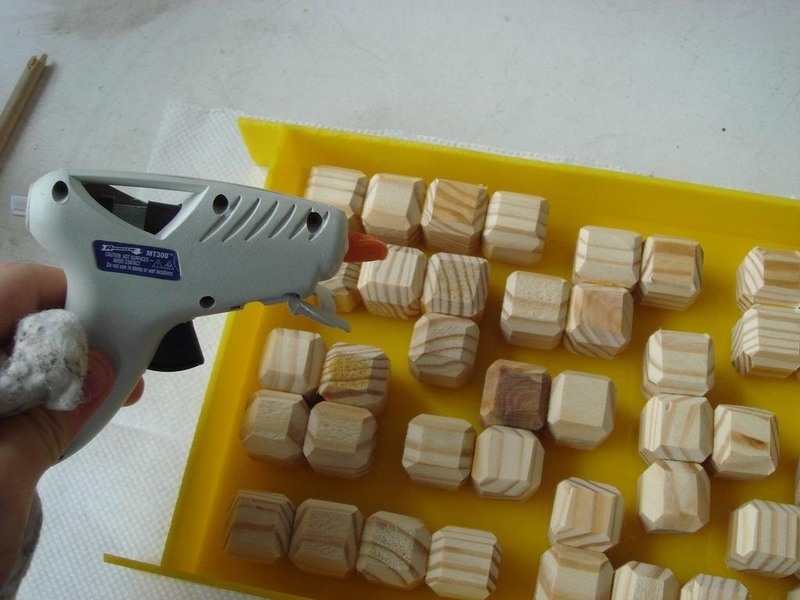 Little one-inch blocks of wood are cut and then rounded. 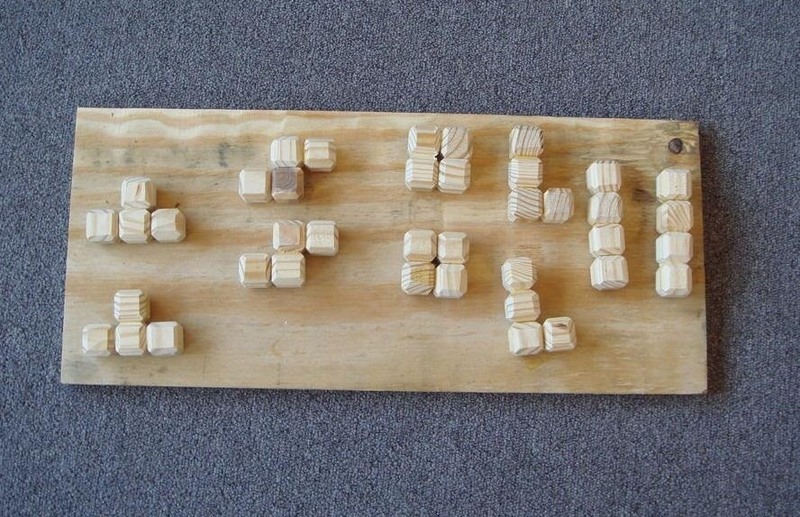 These blocks are glued together into their respective Tetris shapes, then glued in place to a tray deeper than one-inch. Food-friendly silicone is poured over the glued-down pieces to make the mold. You have to wait around 10 hours (give or take), then remove the silicone mold from tray and pull out the wooden pieces. Now you have a Tetris silicone mold. Fill this mold with water mixed with food coloring, put the filled tray in the freezer and...boom! 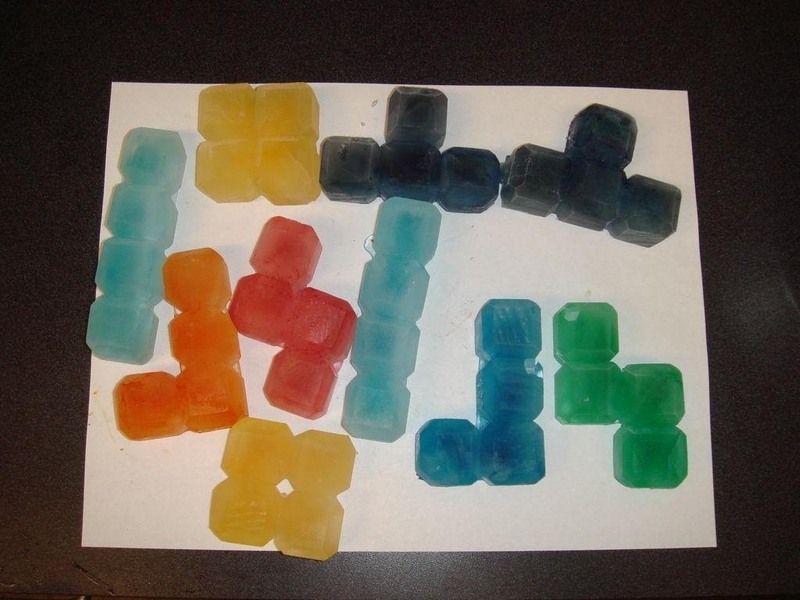 Tetris ice cubes. For detailed instructions and more pictures, check out Tetranitrate's Instructables page. Ultimately, Intelligent Ice Cubes and Tetris Ice Cubes are complete opposites. One helps you drink less, and the other will probably make you drink more. So...which one are you more likely to try out? I bet I can guess.